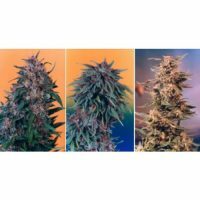 Dutch Passion Outlaw female Seeds produce a cannabis plant with a High (15-20%) THC content, Photoperiod genetics and a flowering time of 9 – 12 weeks. 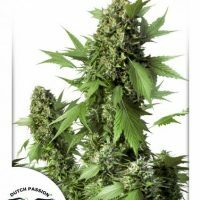 Buy Dutch Passion Outlaw female Seeds at the lowest price online now! With the rock-bottom prices Dutch Passion expect this to become a best seller. 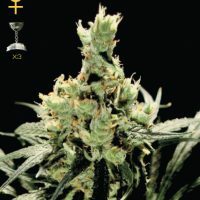 Dutch Passion carefully selected original Haze seeds from their 30 year old seedbank to create this variety. 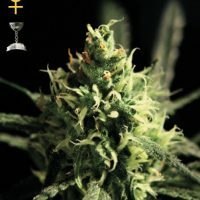 She is 80/20 sativa/indica with 15%-20% THC and is a cross of Dutch Passion Super Haze with a very special clone of Amnesia. The high is powerful and fast with a clear uplifting sativa high and a strong Haze accent. The taste is fresh, sour, strong and old-school Hazey. OutLaw will stretch more than most, perhaps 50cm after switching to flower. Although she can be harvested as early as 9 weeks, a full 12 week flower period may be required for best taste, yield and high. She grows well and can reach up to 500g/m2.